PennsylvAsia: Another way to beat the heat in Pittsburgh: bingsu at Sumi's Cakery. Another way to beat the heat in Pittsburgh: bingsu at Sumi's Cakery. NextPittsburgh this week published 12 ways to beat the heat this summer. A glaring omission is the multiple bingsu⸺빙수, shaved ice⸺varieties at Sumi's Cakery, the Korean bakery in Squirrel Hill. The best-known kind is patbingsu (팥빙수), a Korean summer dessert made with red beans (pat, 팥), fruit, shaved ice (bingsu, 빙수), and occasionally ice cream. 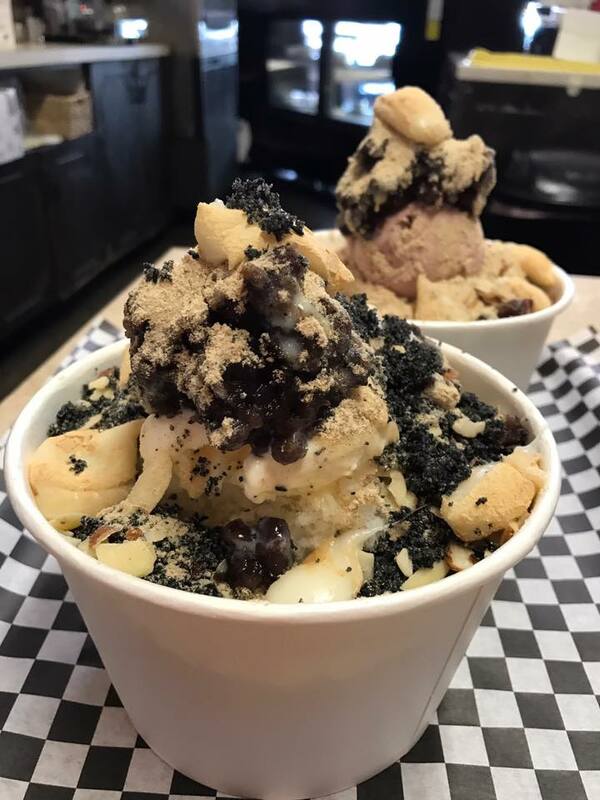 Pictured above, from Sumi's Facebook page, is black sesame shaved ice (흑임자빙수) with almonds and injeolmi (인절미빙수) shaved ice, made with bean powder and topped with almonds. 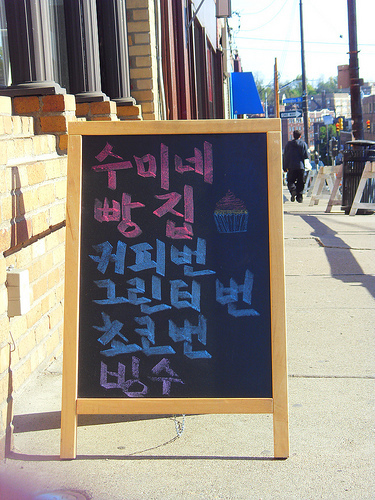 Sumi's Cakery is located at 2119 Murray Ave. in Squirrel Hill (map).